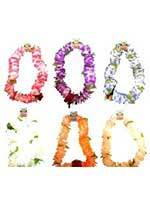 Hawaiian Garlands (Flower) are a popular traditional look for any Hawaiian Party. 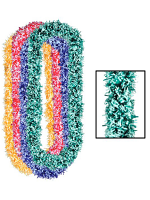 A Hawaiian Flower Garland looks stunning in either Regular Silky Flowers or Luxury Rainbow Silky Flowers. 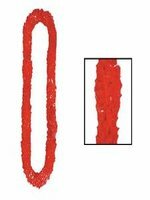 Hawaiian Garlands add to the atmosphere of a party and are very vibrant. 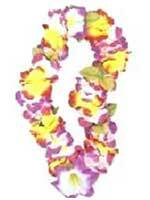 A Hawaiian Garland can also be co-ordinated with Flower Bracelet/Anklets. 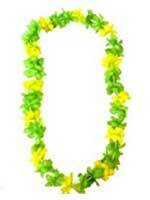 Hawaiian Leis can be worn as part of a fancy dress costume or on their own for a fantastic effect. 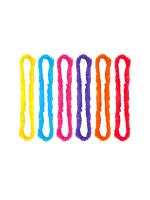 Hawaiian Leis are available as a Matching Lei Set, Plastic Assorted Colours or as Poly Leis which can be purchased in a variety of colours and amounts to suit your preference. 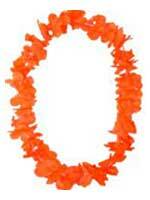 Handing out Hawaiian Leis on arrival is an exciting way to welcome your guests. Please Contact Us for an outstanding party.